A winning smile can make a person look great. And when we look great, we feel great too. However, those positive vibes can be quickly tarnished when a tooth is lost. Finding a quick and effective solution is vital, and a dental bridge could be the perfect answer. 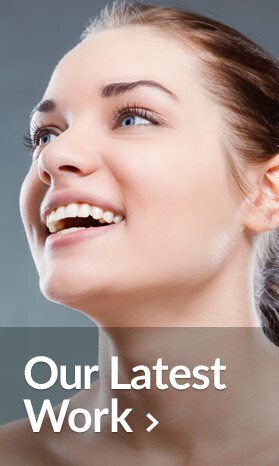 With the help of our experienced dentistry professionals, you can have that broken smile fixed in next to no time. Those stunning results, combined with our affordable prices, are certain to get you smiling once more. Bridges aren’t the only form of dental treatment used to combat the problem of missing teeth. But in many cases, it is easily the best. This is particularly true when you’ve only lost one tooth. This could have occurred due to a sporting injury, unexpected trauma or a whole host of other reasons. 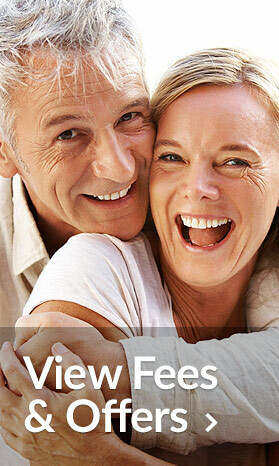 In these cases, dentures and dental implants are usually less practical than a bridge. Besides, fitting a bridge is a fairly straightforward and hassle-free procedure too. If in doubt, a consultation with our experts will confirm whether this is the right way to go. The term bridge is a fairly broad one, and there are several types that could be chosen depending on your specific needs. A traditional bridge is the most common, but there are more complex items such as a hybrid. In these circumstances, other dental works (such as inlays) may be required to gain those desired effects. In truth, you don’t need to worry to much about the various options as our experts will talk you through the best procedures suited to your needs. Your initial appointment will involve preparation of the impacted area. Additionally, a mould of the gap will be sent to our lab experts to create the perfect product to be fitted in the gap. Upon your return to our practice, your newly crafted bridge will be fitted. Our experts use only the best dental adhesives, which will ensure ultimate levels of comfort and durability. Once this simple process has been completed, your smile will feel brand new. If that’s not an incentive to get the work completed, we don’t know what is! Dental bridges can come in various shapes and sizes, depending on the gap left by your missing tooth or teeth. As such, we take a versatile approach to the process, and could use a number of materials. Our first priority is to ensure that you gain the end result that you deserve, so we could use porcelain or ceramics amongst other options. Whatever the choice, it will be the perfect solution for your mouth. The flexible nature also means we can find a colour best suited to your natural colour too. Best of all, our professionals will make the entire process as quick and painless as possible – for your wallet as well as your mouth! If you’re looking to plug the gap left by a missing tooth, our experts are happy to help you rebuild that winning smile. Give us a call today, and we’ll see what we can do.